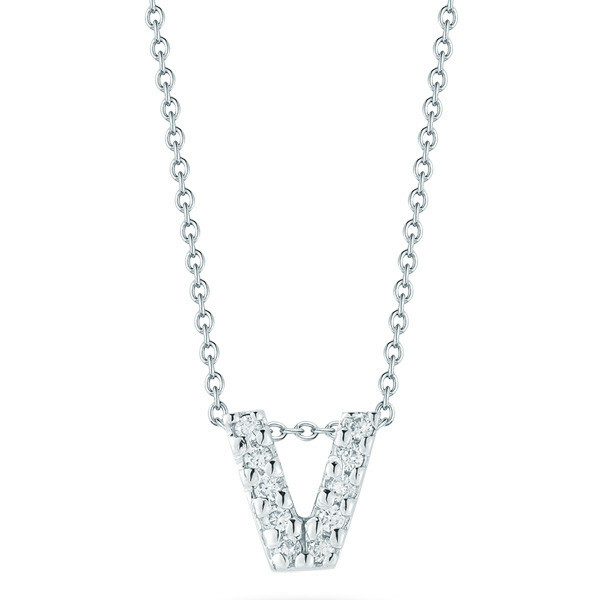 From Roberto Coin, the Initial Thoughts collection presents this fabulous initial V necklace. Sparkly diamonds and lush 18kt white gold create this little letter. On a 16" white gold chain, this pendant rests at the perfect point of your neck. 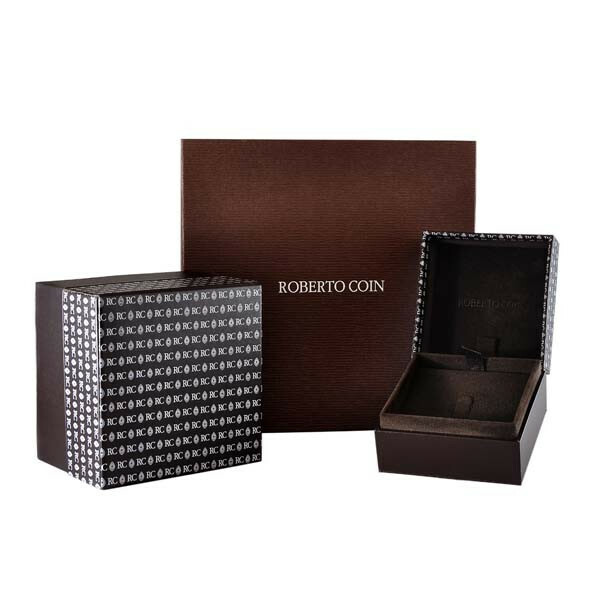 You'll be able to get personal with this eye-catching Roberto Coin piece. Call or chat for more letters.